My sweet Husband surprised me with a Rome holiday over Thanksgiving. Perfect time to see Rome. No crowds. The weather was temperate and cool. And, the city was beautiful. On everyone’s bucket list for good reason. We loved the area so much, we visited twice. We spent most of one day touring St. Peter’s Basilica, the Vatican Museum, and the Sistine Chapel. The guidebooks suggest you hire a tour guide. A scary proposition, in my opinion…but they were right. Hand over your money and put your faith in a total stranger. Our guide, an American living in Rome, was a history major who gave us a more informative, entertaining tour than we could have ever done on our own. Breathtaking architecture. Amazing history. Spirit moving. This is still a place of worship, if you have the opportunity to, do. (Check the daily mass schedule.) We attended Mass under Michelangelo’s giant dome, sitting next to several young Monks in their burlap ropes. If you do participate in Mass, don’t take out your phone or camera to snap pictures of the Cardinal as he stands over St. Peter’s tomb in front of Bernini’s Dove Window…you’ll look like a total jerk, and it distracts from the experience of all those around you. If you don’t get an opportunity to worship, you’ll find plenty to move your soul in this amazing building. 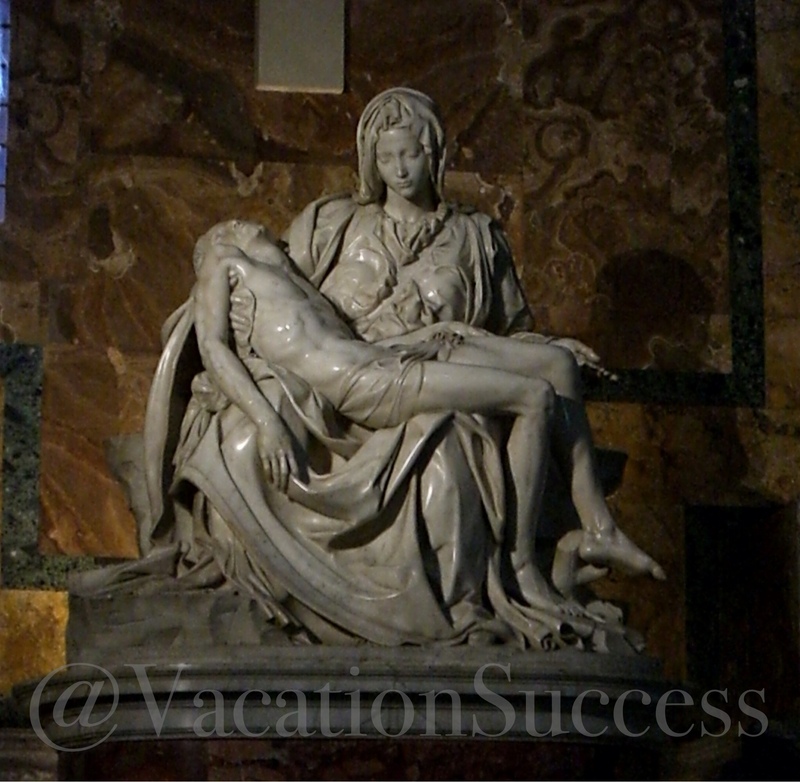 Michelangelo’s Pieta is a heartbreaking story, deserved of its history. There is a strict dress code for the Basilica. We didn’t have to worry much, since we were there in November. If you travel during summer months, be sure to wear long pants, long skirts and cover your shoulders. We have our guide, Mike, to thank for giving us an appreciation of the museum. If you are uncomfortable hiring a guide off the street, plan your tour through the Vatican Museum website . While I studied the Renaissance in art history, I have limited appreciation for its artifacts. Mike, and the other tour guides, live in Rome in part because of their love for this time period. Take it all in, and learn from their love of these great masters. The way to the Sistine Chapel is through the Vatican Museum. The Chapel is worth the entire trip to Italy. Don’t miss it. I’ve read that Pope Francis has opened the Pontifical Villas of Castel Gandolfo so visitors can see the botanic gardens and the Pope’s residence. This was not open when we were in Rome, as we were there during his predecessor’s time. Note, it is not on the Vatican grounds. You’ll remember when Pope Benedict left his post, he traveled by helicopter to Castel Gandolfo. You’ll need to make travel plans if you’d like to see the gardens and the residence. I’m curious to hear how different the experience would be if we’d traveled in the summer. 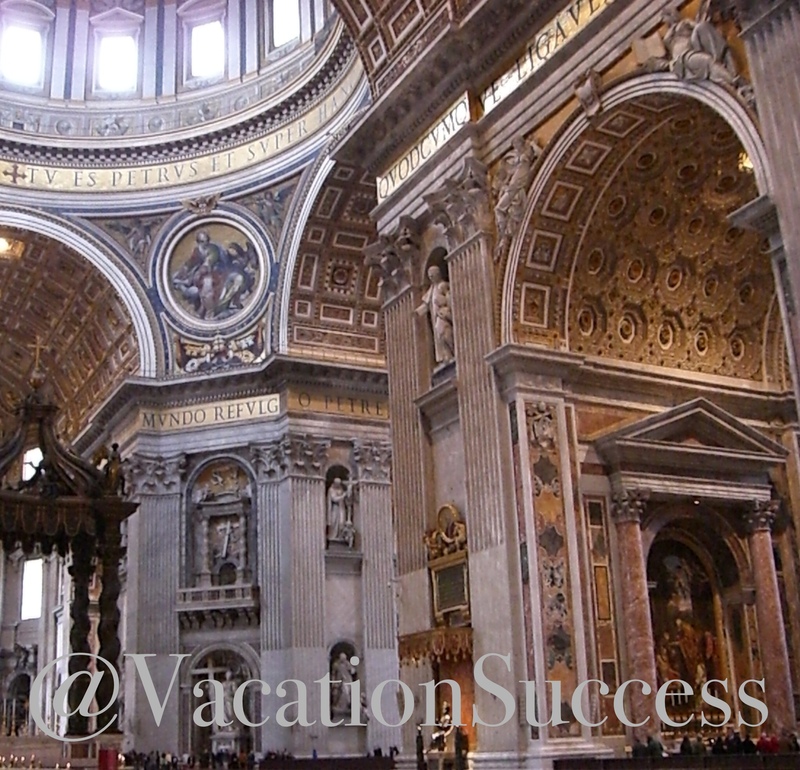 If you’ve been to Vatican City with the summer crush, share you experience. Was it worth the crowds?